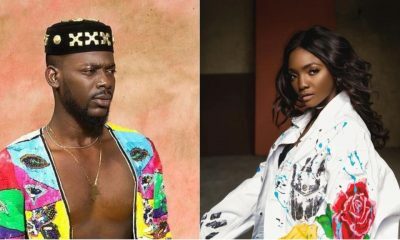 Adekunkle Gold and Simi have been romantically linked to each other but they have refused to officially come out to declare their relationship status. They have known each other for a long time way before they hit the lame light. It’s evident that there is something going on between them as they are always seen flirting on social media and working on each others songs and album. In a new interview with Goldmyne TV, Adekunle Gold was asked about his relationship with Simi and he said he’s getting tired of being asked the same question all the time. According to him, He said he wrote “Orente” for Simi that he doesn’t have to say it directly meaning we should get that they are dating and they don’t have to say it directly. He also said they don’t have to come out to officially say it that his song “Orente” says it all.